To improve its competitiveness in messaging services for internet users, Yahoo last week launched a web-based version of its free instant messaging (IM) service for Net users who want to stay connected while away from their home computers. 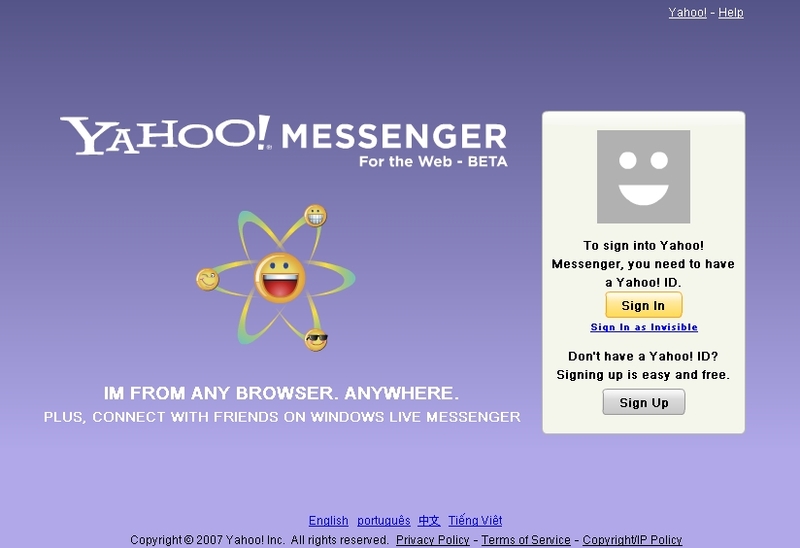 Via its web-based version, users can use Yahoo messenger from any internet-linked computer without downloading and installing the messenger software. Like other web based messenger, Yahoo Messenger is tailored for use by travelers, workers whose employers block software downloads to company machines, cybercafé dwellers and those who can’t afford own computers. Click here to see the Web- based Yahoo Messenger.